Bob Petrovic is the Owner and President of CLE Landscaping Co., LLC. He is a lifelong Cleveland area resident, having grown up in South Euclid and currently resides in Cleveland Heights. After graduating from St. Ignatius High School, Bob attended Miami University where he earned a bachelor’s degree in business, graduating in 2002 with a double major in Finance and Management Information Systems. He was also a member of the Miami Redhawks football team. 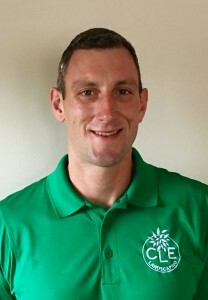 He then spent several years in corporate America, gaining valuable management, sales and customer service experience before he found his career passion within the landscaping industry. Upon entering the industry, Bob spent nearly 5 years working alongside expert mentors. 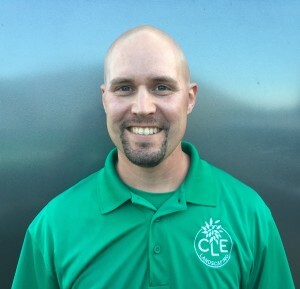 During this time he developed skills, learned proper techniques and acquired extensive industry knowledge before establishing CLE Landscaping Co. in early 2014. Drawing from these experiences, he has fashioned a company poised to deliver quality landscaping services paired with exceptional customer service. When Bob is not working, he enjoys spending time with his wife, Meredith. He enjoys running, hiking and supporting the Cleveland Browns, Indians and Cavaliers. Jeff Granito was born and raised in Northeast Ohio and continues to reside in Euclid. He has been in the landscape industry since 2003. From this experience, Jeff has become very knowledgeable in a variety of lawn maintenance techniques to assist with the overall health of the lawn. Jeff’s passion for the landscaping industry is coupled with his customer service skills. When Jeff is not working he enjoys spending his time with his wife and children. He loves nature and tries to spend as much time outdoors as possible. Jeff is also an avid Cleveland sports fan.